dōTERRA®'s Fractionated Coconut Oil is an all-natural carrier oil that readily absorbs into the skin making it an ideal oil for topical therapies. Its feather-light emollient effect provides a soothing barrier without clogging pores and is excellent for dry or troubled skin. 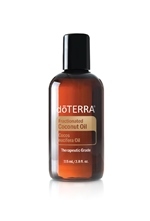 It leaves skin feeling silky smooth, not greasy like other vegetable carrier oils. 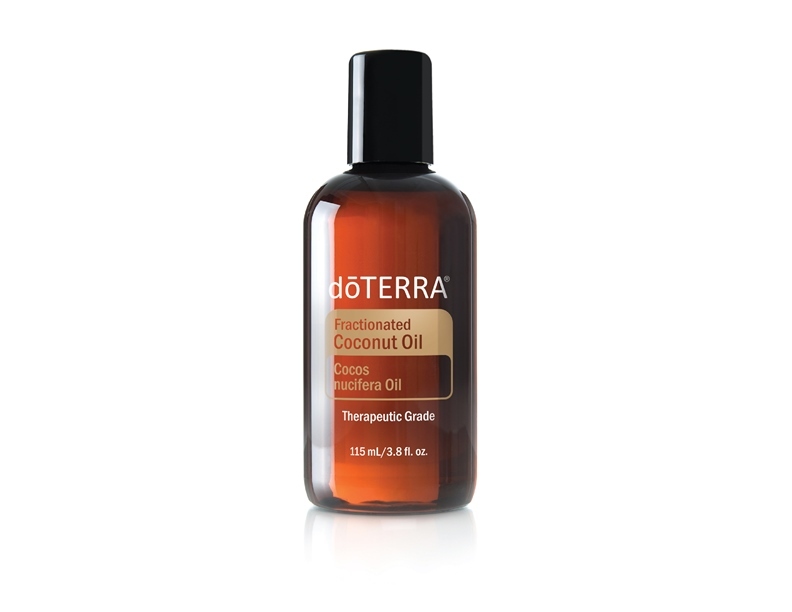 It is completely soluble with all essential oils and is colorless, odorless, and will not stain or go rancid. For topical use.